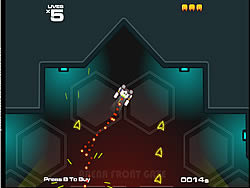 A futuristic and high detailed shoot em up robot game with over 300 waves spread over 10 different arenas. Update your primary and seconday weapons. Also try the unlimited arena mode, where the pressure and weapons will be unlocked and boosted to the max!